DETROIT -- Land Rover expects full-year availability of the LR4 mid-sized SUV to boost U.S sales in 2010, said Chris Marchand, executive vice president of marketing and sales at Land Rover North America, at the Detroit auto show. Land Rover's U.S. sales fell 12 percent to 26,306 units in 2009, but Marchand noted that was better than the 15 percent segmentwide decline in luxury SUV sales. The LR4 went on sale in September. A new Range Rover will be introduced in the third quarter of 2011. The vehicle will be based on the LRX compact SUV concept shown at the Detroit auto show two years ago. Marchand said the new SUV, as yet unnamed, is intended to help Land Rover better compete against higher-volume products such as the Audi Q5. He also said Land Rover will boost its U.S. marketing budget 35 percent this year so that it can separately advertise its Land Rover and Range Rover lines. Marchand would not put a dollar figure on the planned marketing spend for the year. 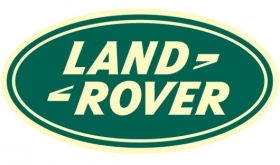 Land Rover dealers recorded a 25 percent improvement in their return on sales last year compared with 2008, Marchand said. The brand has 170 U.S. dealers.